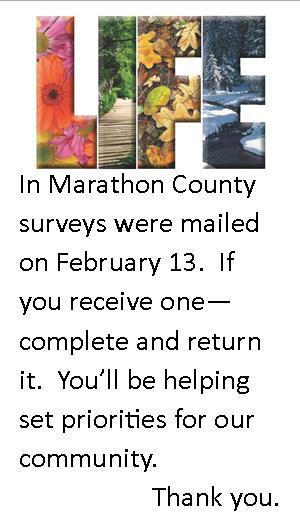 If you receive a copy of the LIFE Survey in the mail, please take a few minutes to complete and return it. The results are used to develop the LIFE Report and set priorities for action in our community. Last year’s report is available at http://www.unitedwaymc.org/lifereport.htm. Your input is valued. Thank you.